ONE of the most prolific authors of his generation had strong connections with Helensburgh and lived in the town for four years. George Blake, who was born in Greenock on October 28 1893, the son of engineer Matthew Blake and his wife Ursula, came to the burgh with his family in 1935 and stayed as tenants of The Glenan, 41 John Street, until 1939. After his schooldays at Greenock Academy he became an apprentice at solicitors Neill Clerk & Murray at the age of 17, and studied law at Glasgow University. However, his studies were interrupted when in 1913 he was gazetted into the 5th Argyll and Sutherland Highlanders. A year later he was mobilised and served in the Gallipoli Campaign in Turkey where he was wounded and discharged in 1917. After a brief return to the law, he began a new career in journalism in 1918 with great success, first at the Glasgow Evening News where he succeeded his friend and colleague, Helensburgh man Neil Munro, as literary editor. George's son Christopher said: "Neil Munro took my father under his professional wing partly because his son Hugh, who was killed in France, had been my father's closest friend." On June 30 1923 he married Eliza Lawson, known as Ellie, whose father was aerated water manufacturer Robert Lawson who owned Greenock Apothecaries and Lawson's, and they went on to have two sons and a daughter. He went to London in 1924 and was appointed acting editor of John o’ London’s Weekly, moving four years later to the Strand magazine. In 1930 he joined the publishing firm Faber & Faber, and their incorporation of an Edinburgh company, the Porpoise Press, brought him back to Scotland in 1932. He then rejoined the Glasgow Evening News as a special writer. In 1935 he became a freelance contributor to the Express group so that he could concentrate on writing books, which he did until 1939 when he had a brief period working for the Ministry of Information in London. From 1940-43 he was editor of the Glasgow Evening Citizen, and at this point the family took rented accomodation in Dollar where Christopher and his brother had been boarders at the Academy. They bought a house in 1940, and lived in Dollar, and later in Glasgow. His chosen field for his books was the industrial, middle class of Scotland with much of his material based on the Clyde, its shipyards and social conditions. He wrote his first book, Scotland of the Scots, while living on the island of Gigha. Blake is best remembered for his novel of the depression period, The Shipbuilders (1935), which portrays sympathetically the problems faced by a community when a shipyard closed. This was later filmed, as was his one-off film script, Floodtide. Christopher Blake said: "The film Floodtide had an enormous and long-running success in the West of Scotland. It also marked the start of several stage and film careers, including Jimmy Logan, Rona Anderson, Elizabeth Sellars and Gordon Jackson." The Shipbuilders contrasted the fortunes of Leslie Pagan, the owner's son, and Danny Shields, a riveter. Like all his work, it is notable for the evocation of Glasgow life and his ability to create true-to-life people and situations. About this novel and similar ones by Blake, a reviewer for the Times of London wrote in 1946: "To the river Clyde Mr Blake brings intuition and love; to the social scene knowledge and sympathy; to the individual man or woman, a somewhat commonplace insight." This last remark may seem harsh, but it may be fair, as he was not considered to be a particularly successful portrayer of an individual’s character. Many believe, however, that critics have not adequately explored his strength as a regional author who helped shape the evolution of Scottish fiction from the period of the kailyard romances to that of modern realism. 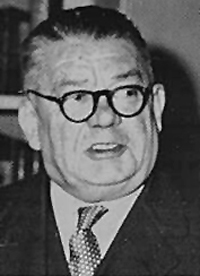 He wrote a number of other fine novels about Glasgow, including Mince Collop Close (1923), The Wild Men (1925), Young Malcolm (1926), David and Joanna (1936) and The Peacock Palace (1958). No less successful were his novels about small-town life and society in the fictional Garvel, based on Greenock, of The Valiant Heart (1940), The Constant Star (1945), The Westering Sun (1946), The Paying Guest (1949) and The Voyage Home (1952). Blake also wrote criticism of the 20th-century Scottish novel in Barrie and the Kailyard School (1951), a serious history of shipbuilding on the Clyde entitled Down to the Sea (1937), and a number of general histories. One of his books, a collection of his early articles in the Evening News, was published under the pseudonym 'Vagabond'. He wrote a number of plays, three of which were presented by the Scottish National Players, and had a great interest in art. In 1957 he was invited to perform the official opening ceremony at the annual Helensburgh and District Art Club Show in the Victoria Hall. He was a broadcaster for many years and instituted the radio feature 'The Week in Scotland' which he carried on exclusively for 18 months. He also commentated on memorable events such as the launching of the Queen Mary and the Coronation of King George VI. He died on August 29 1961 in Glasgow’s Southern General Infirmary after a month’s illness. His major works were: The Mother (1921); Clyde Built (1922); Vagabond Papers (1922); Mince Collop Close (1923); The Weather Vessel (1923); The WildMen (1925); Young Malcolm (1926); Paper Money (1928); editor of Scottish Treasure Trove (1928); The Coasts of Normandy (1929); The Paths of Glory (1929); The Press and the Public (1930); The Seas Between (1930); Returned Empty (1931); Sea Tangle (1932); edited Neil Munro, The Looker-On (1933); The Heart of Scotland (1934); Rest and Be Thankful (1934); The Shipbuilders (1935); David and Joanna (1936); R.M.S. Queen Mary (1936); Down to the Sea (1937); The Valiant Heart (1940); Big Ships, Little Ships (1944); The Constant Star (1945); British Ships and Shipbuilders (1946); The Westering Sun (1946); The Five Arches (1947); Scottish Affairs (1947) Scottish Enterprise and Shipbuilding (1947); The Paying Guest (1949); Mountain and Flood (1950); The Piper's Tune (1950); editor of The Trials of Patricia Carraher (1951); Barrie and the Kailyard School (1951); The Firth of Clyde (1952); The Voyage Home (1952); The Innocence within (1955); The Ben Line (1956); Clyde Lighthouses (1956); The Last Fling (1957); The Peacock Palace(1958); Lloyd's Register of Shipping 1760-1960 (1960); The Loves of Mary Glen (1960); and, published after his death, Gellatly's 1862-1962 (1962) and The Gourock (1963).